We are honored to have received the prestigious 2017 Customer Focus Award for overall Customer Success Stories at the Oracle JD Edwards Partner Summit. This award represents Circular Edge’s outstanding work in helping our customers drive significant business value while implementing innovative solutions with their Oracle JD Edwards software. The success stories recognized included integrated ERP/CX digital experiences in the distribution, construction and real estate industries as well as one of the first Oracle JD Edwards Apparel Management implementations in the United States. 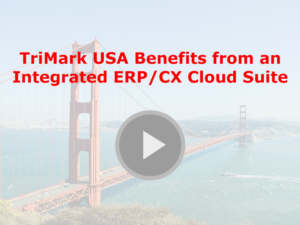 TriMark USA, a provider of distribution, sales, and construction jobs, and more than 600,000 products, embarked on a cloud modernization project to transform its business by moving 14 separate divisions from more than 10 legacy ERP applications and onto an integrated ERP/CX cloud suite. In this session hear how TriMark has achieved seamless data integration across the Oracle solutions and reduced data entry time from 60 hours to seconds.